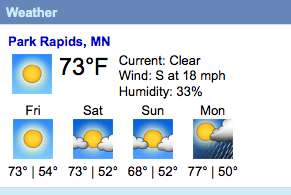 Additional Lake Service Provider training opportunities have been added in April including one session in Park Rapids. 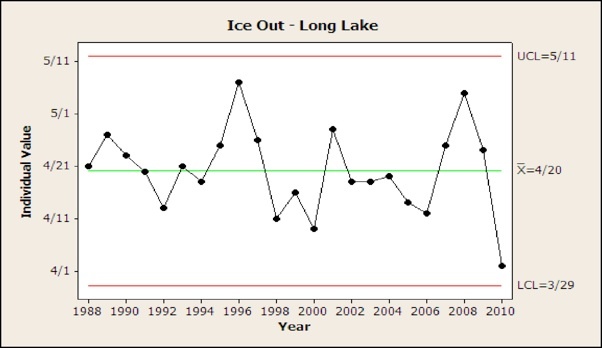 As far as Linda and I can tell there have been no reports of ice on the lake since Monday. Most of it was gone on Sunday and Barb Roberts reported that the ice in their bay was gone on Monday. 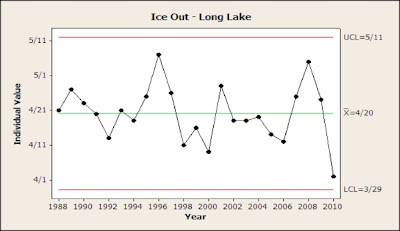 The chart with ice out data has the earliest date for ice out as April 2nd in 2010. That chart has data since 1988. It would really be interesting to find someone who has the data from even earlier. All week long we have been watching the ice as it has been slowly melting and changing colors. This morning is had turned a very dark green which is always a good sign of spring. There was a widening channel of water near shore. At about 2 o'clock, I went out to take pictures. The area of ice free water was still wider and another channel of water had opened near the middle. Before I got a chance to post those pictures, the north wind started blowing pushing the ice south and making the ice pile up at Breezy Point toward the east side of the lake. It won't be long now and the ice will be gone! Please help! Legislators say they need the help of Minnesota citizens. The DNR also says they have been successful implementing better policies for years because of the partnership with Minnesota citizens. At the recent Detroit Lakes AIS Legislative Summit, the legislators said that it is very important that we write them letters with our ideas. 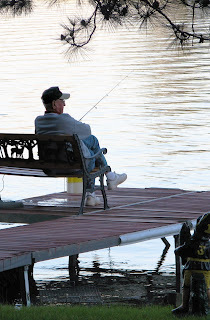 We are reminded again by Minnesota Waters of the importance of our correspondence. You will find detailed information about all of this and it's importance in the link below including bills currently before the legislature, your legislator's contact information and a sample letter. A second very important issue is keeping Minnesota's Game & Fish Fund solvent beyond July 2013 and to maintain the work the DNR does to manage our resources and provide hunting & fishing opportunities. Persons interested in expressing their opinion on this subject should contact their local state senator or representative. Protect fish & wildlife habitat through changes to hunting and fishing licenses and fees. From Asian carp to flowering rush Aquatic Invasive Species (AIS) are threatening Minnesota's precious water resources and the communities that depend on them. The two-day event will take place March 19 and 20 at the Kelly Inn in St. Paul, within walking distance of the State Capitol building. Click the link below for information and registration materials. Long Lake summer resident, George Frederic Hoffman II died in Green Valley, Arizona on Thursday, February 23, 2012. He was 86 years old. G.F., as he was known, grew up in Leon and graduated from Leon High School in 1943. He then joined the United States Army Air Corps where he flew 35 missions over Germany as a B-17 tail gunner in WWII with the 359 Squadron of the 303rd Bomb Group, known as the Hell’s Angels. G.F. played football, basketball, and received his undergraduate degree from Simpson College. He graduated from the University of Iowa Law School in 1950 and then began practicing law in Leon, Iowa for the next 55 years at the same firm his grandfather started in 1878. At the time of his retirement Hoffman Law Firm was the oldest continuous family law firm in Iowa. He was a lifetime member of the Iowa Academy of Trial Lawyers. As a young man, G.F. worked as a lifeguard on the shores of Lake Michigan and helped Edgar Hansel pilot a boat from the Great Lakes down the Mississippi River to New Orleans. G.F. was an avid fisherman, hunter, golfer and Iowa Hawkeye fan. In the days before refrigeration he worked delivering ice to the cabins along Long Lake. He often hitchhiked or rode his Indian motorcycle to get to the lake that he loved. 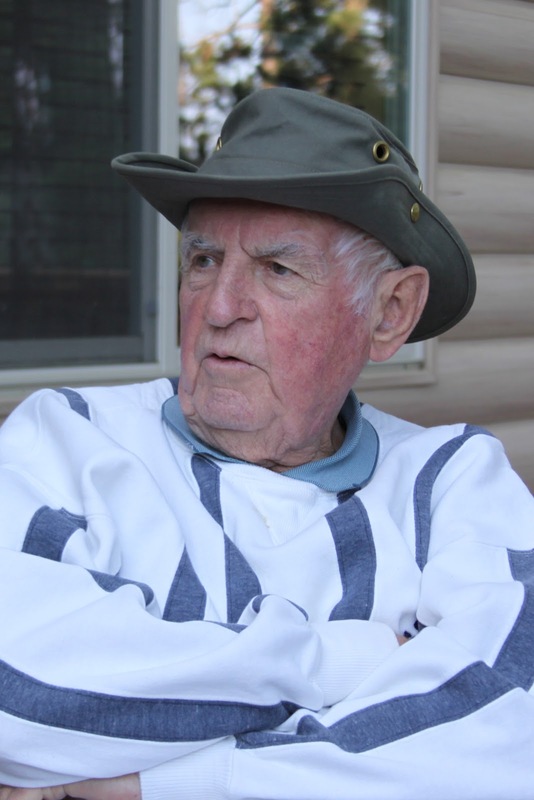 He spent 80 memorable summers with family and friends at the cabin on Long Lake at Park Rapids, Minnesota. Memorials may be given to the Long Lake Area Association Foundation, PO BOX 808, Park Rapids, MN 56470 - or to the Central Decatur Community School Foundation, c/o Central Decatur Schools, Business Office, 1201 NE Poplar Street, Leon, Iowa 50144. "Property Tax Assessment Process in Hubbard County"
There will be a program on "Property Tax Assessment Process in Hubbard County" sponsored by the League of Women Voters of Park Rapids. This program is on the process of property valuation assessment, not about the merits or deficits of property taxation. As lake shore owners you are probably even more interested in anything relative to property taxes. Chili Cook Off to raise money for the Park Rapids Food Shelf.